Lucian T. Pera focuses his practice on commercial litigation, media law, and legal ethics work. His civil litigation practice has ranged widely and includes a variety of commercial, personal injury and intellectual property litigation, as well as numerous state and federal appeals. Lucian has represented many media outlets in matters ranging from claims for defamation or invasion of privacy to access to courtrooms, public records and meetings of government bodies. 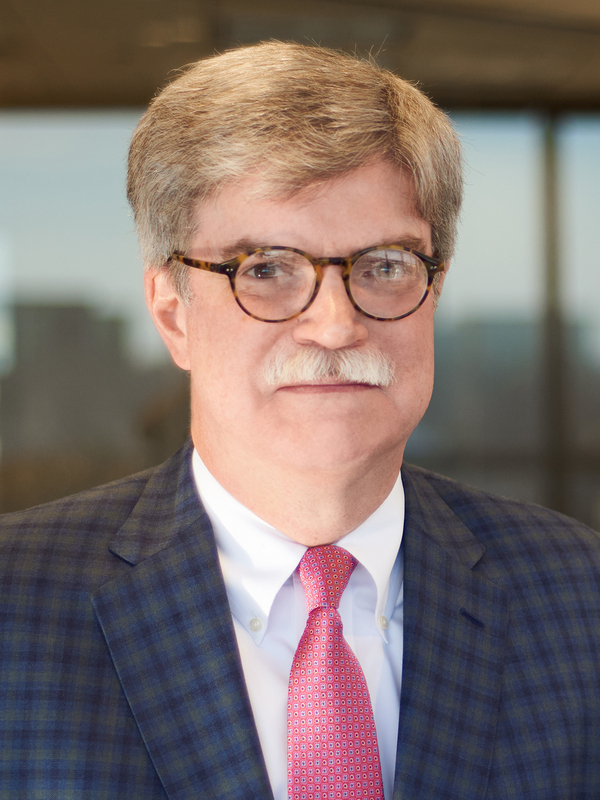 His extensive bar association work in the field of legal ethics and professional responsibility has resulted in him being elected, both locally in Tennessee and nationally, to bar association leadership positions. This work also makes him a go-to lawyer nationally in the field of legal ethics and professional responsibility. He advises attorneys, law firms, their clients, and businesses who deal with lawyers about all aspects of the law. Recent assignments have included defense of lawyers in disciplinary investigations and proceedings, counseling clients with disciplinary complaints and other claims against lawyers, advising law firms about loss prevention and claims, defending and prosecuting motions to disqualify lawyers or for sanctions, and advising innovative start-ups in the legal business. Lucian regularly provides expert witness testimony in matters concerning legal ethics, professional responsibility and the standard of care for lawyers and law firms. Amid rapid changes in the business of law, Lucian also counsels law firms and other entities developing new business models for the delivery of legal services. He also advises individuals and organizations seeking to do business with lawyers about how they may do so legally and ethically. Lucian also writes and speaks frequently, both nationally and in Tennessee, on legal ethics and professional responsibility and media law. In addition, he routinely conducts presentations and seminars for national audiences. Active involvement in the most recent complete revision of the American Bar Association Model Rules of Professional Conduct, now the model for the lawyer ethics rules in all but one American jurisdiction, serving as the youngest member of the ABA “Ethics 2000” Commission. Since his Ethics 2000 experience, Lucian has been deeply involved in the ABA House of Delegates’ consideration of every other significant change to the ABA Model Rules. He currently chairs the governing committee of the ABA Center for Professional Responsibility, the home of the ABA’s standing ethics, discipline, and professionalism committees. Served as ABA Treasurer (2011-2014), including service on the ABA Board of Governors and Executive Committee. Prior service on the ABA Board of Governors as a young lawyer from 1994-1997, including chairing its Finance Committee and serving on its Executive Committee. Membership in the ABA House of Delegates, primarily representing the TBA, for all but three years since 1991. View video of his August 2013, February 2014, and August 2014 reports to the ABA House of Delegates. Served as President of the Association of Professional Responsibility Lawyers (APRL), the national membership organization of lawyers who work in legal ethics. Leadership of the Tennessee Bar Association ethics committee from 1995 through 2009, including spearheading the TBA’s petitions to the Tennessee Supreme Court seeking ethics rule revisions. These included the TBA’s successful petition that led to Tennessee adopting in 2002 its own version of the ABA Model Rules of Professional Conduct to replace Tennessee’s prior ethics rules, which had been in place since 1970. Active involvement in the Media Law Resource Center, the national organization of media lawyers and outlets, including as an annual contributor to several of its national surveys on media law. He also currently serves as President of the Tennessee Coalition for Open Government, an alliance of media and citizen groups advocating for transparency in government at all levels. Assisted in creation of the TBA and ABA websites and chairing the ABA Standing Committee on Technology and Information Systems. Immediate Past President of the Tennessee Bar Association. Lucian has litigated key media access cases, including a Tennessee Supreme Court case extending access under the Tennessee Public Records Act to records of private companies that are the “functional equivalent” of government (Memphis Publishing Co. v. Cherokee Children & Family Services, Inc., 87 S.W.3d 67 (Tenn. 2002)) and expressly confirming the constitutional right of public and press access to attend civil trials (King v. Jowers, 12 S.W. 3d 410 (Tenn. 1999)).